The Key Thatch Palm Tree, is an endangered species. It is easy to grow and maintain. 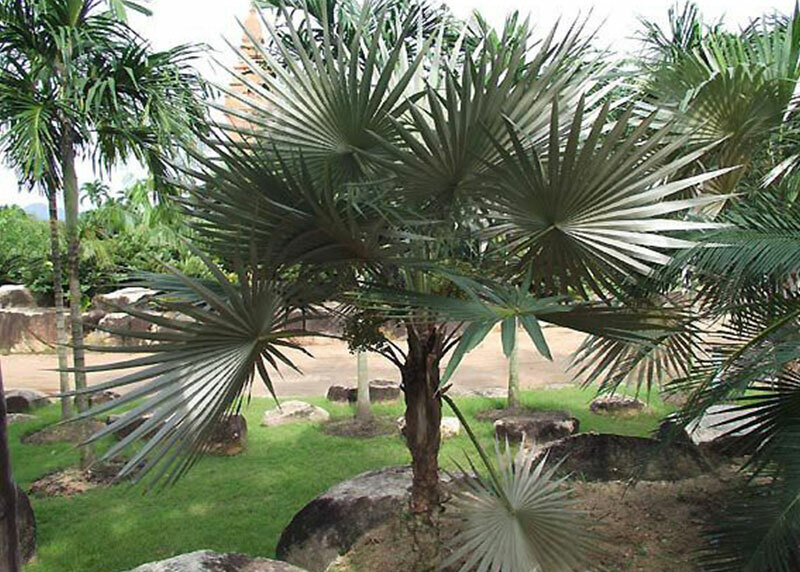 This palm can easily adjust to variety of different conditions. It would be a great addition to any landscape. It is often planted as a single specimen or in groups of three to accent an area. It is also can be used as an entryway palm at a front door of a building. The Key Thatch Palm has single smooth trunk topped with a crown of palmate, or fan-shaped fronds that grow on 1 to 3-foot-long petioles. The leaves are blue-green on top and shimmering silver/white underneath. The leaflets are narrow about 1 to 2 feet long. The flowers and fruit of the Key Thatch Palm produce small white insignificant flowers that grow on the 2 to 3-foot-long inflorescence that extends beyond the leaves. Flowers are followed by small, round, fleshy white fruits that turn yellow as they mature. The Key Thatch palm is not cold hardy and can tolerate cold only down to 30F. Perfect for the areas in USDA Zones 10a (30 to 35 F) to 11 (above 40 F). The palm likes partial shade to full sun. It can tolerate wide range of soil conditions like clay, sand, loam, alkaline and acidic. Like most palms, grows in moist well drained soil. This palm can also tolerate drought. To prevent nutritional deficiency, apply good quality palm fertilizer that has continuous release formula twice a year during growing season.